The hair you lose after every washing can be really scary if it is in large amounts, especially if your hair is fragile. 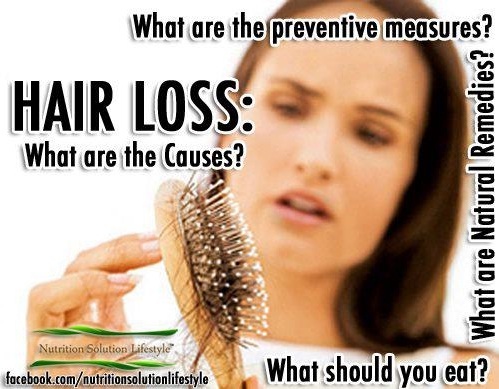 Read this article if you are willing to learn some new and natural ways to prevent hair loss. Sounds strange does not it? But ginger root is one of those great roots that actually stimulate your hair follicles and make your hair grow healthy and shiny. For the preparation of ginger juice you need to peel 6 ginger roots and place them in blender. Add half a cup of water. Once the ginger is well blended, place it over two or three layers of gauze. Filter the ginger juice in a bowl, which you will later apply to your scalp. Leave it on your hair for about 10 minutes, then wash your hair with shampoo as usual. Did you know that proteins are another way to help your hair grow and prevent its decline? Start consuming protein shake every morning and you will notice that your hair will be more lush, thick and healthy looking. Another great way to prevent hair loss is to increase the vitamin B12 intake in your body. This vitamin is completely soluble in water and contains nutrients with essential importance if you are trying to maintain healthy cells. Green tea is great! It offers many advantages and two to three cups a day can help you raise your immune system, clear your body from toxins and prevent the hair loss.